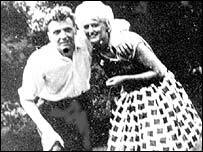 Ian Brady no longer makes any secret of the fact that he killed Keith Bennett and Pauline Reade. He finally confessed nearly twenty years ago. The two youngsters went missing in the 1960s, when he and Myra Hindley were abducting children off the streets of Manchester. Their young victims were sexually abused and killed, before being buried on Saddleworth Moor. At their trial in 1966, Brady and Hindley were convicted of the murders of Lesley Ann Downey, 10, and Edward Evans, 17. 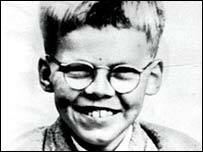 Brady was also found guilty of murdering John Kilbride, 12. Both were jailed for life. 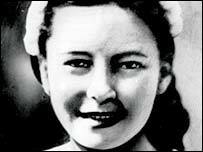 Although they were suspected of killing Pauline Reade and Keith Bennett, there was no evidence. But in the 1980s, Greater Manchester Police began a new investigation. Interviewed behind bars, Brady and Hindley finally admitted to the crimes. They were taken separately to the moors to try to find the bodies. Eventually, the police managed to locate the remains of Pauline Reade, but despite many weeks of digging, they were unable to find the body of Keith Bennett. After so many years, it proved impossible for the two killers to find the spot where he was buried. It has been a constant source of pain to the family of Keith Bennett that they have been unable to give him a proper burial. Once the police had their confessions, the decision on whether to bring fresh charges against Brady and Hindley rested with the Crown Prosecution Service. In January 1988, it was announced that it "was not in the public interest" to take them back to court. 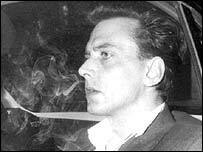 By then, Ian Brady was mentally ill and had been moved from prison to a secure hospital, with no prospect of ever being released. He has told me many times that he will die behind bars. By contrast, Myra Hindley was making every effort to win parole, and her lawyers went to court to challenge the power of the Home Secretary to keep her locked up for the rest of her life. European court rulings raised the possibility that she might one day be released. But her death in prison on 15 November last year closed the issue, for her at least. Over the years, successive home secretaries had made it clear they would do everything in their power to keep her locked up until the day she died. They had little difficulty imagining the public outcry, should Britain's most notorious female prisoner ever be released. Last year the mother of Keith Bennett, Mrs Winnie Johnson, asked the police and the CPS to charge Brady and Hindley with the murder of her son. Like the families of the other victims, she was concerned that legal decisions in Europe would one day make it possible for Myra Hindley to walk out of prison a free woman. New convictions for murder would have made that prospect less likely. It would also have given the family a sense of justice being done. The CPS says the earlier decision not to prosecute was reconsidered "due to the exceptional nature and sensitivity" of the case. Hindley died before the review was completed, so the decision applies only to Brady. Now aged 65, he is in the fourth year of a hunger strike at Ashworth high security hospital on Merseyside. He has said he want to end his life, but doctors have been told they have the power to keep him alive by feeding him against his wishes. The decision not to charge him with the two murders will be a matter of indifference to Brady, who is now simply waiting to die. But for Winnie Johnson, who has never given up hope of finding her son, it has brought more anguish. "It is like the last time, it has gutted me," she told BBC News Online. "But I am not having it, I am not going to let it go."